Homespun Stitchworks..... For the love of vintage: Glorious weather to design and stitch. all the planting out of the cottage garden flowers has paid off with butterflies and bees everywhere and of course the lovely birds. I have seen a bit more of Miss Muddy Beak of late I think her young have flown the nest as she seems to have a lot more time now. She sits in our pear tree and her sweet singing is back, she did not have time for that it seems to me since May! We are not too far from the sea at all and sometimes if the sea is rough we can lay in bed and hear the waves crash against the shore line. You can smell the sea from our garden when there is a gentle breeze and when every crazy person who bakes themselves in the hot part of the day has gone home nursing their red bits, my husband and I walk down there with our chairs and a cool bag with cheese and biscuits for our supper and a bottle of very cold wine. Take off our flip flops and bury our feet in the sand, watching the sun set. Then a paddle before coming home. This is what we are going to do tonight .... Its a little cooler today at 22 degrees as last Thursday it hit 30 degrees in our garden! I have added a little bee hive into my design and it will be the last thing I pencil in and stitch just to check it will look ok in this sampler of mine. I have devised all sorts of ways to slow stitch little foxgloves and cornflowers and grasses along with the bee saying that I showed you on here last week. I have picked out some great little pieces of scrap fabrics for other flowers and will add hand embroidery to those too. a basket of those going so that it will be great to just start stitching around them on the paper templates. Trying to cut all of what is needed before the dark days of Winter descend on us at the beginning of January. 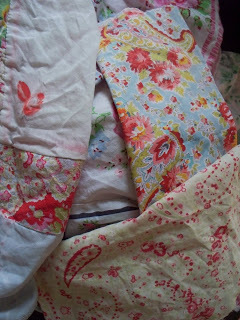 There has been so much fabric to choose from in my sewing room stash and I had great fun looking all through some really stunning pieces of antique eiderdown fabrics and pre loved paisleys in there timeworn state ... which appeals to me greatly. My sister and I take my Mum out once a week for lunch to a pub and we are trying to think of somewhere to go this week. Last week was near Bransgore and the week before we went to the Plantation pub and sat in tepees in the garden it was amazing ...mind I think my sister and I thought it more of a hoot than our Mum! So whilst stitching and watching the wildlife today I will give thought to that one as well. So think of me later pressing some really lovely fabrics and drawing around my hexagon and diamond templates and making a start on my winter project basket ready to just grab when the excitement of Christmas is over, we have seen in the New Year and my darling friend Jo has returned to Australia again... January is when my Daddy died too so it is sad old month for me ... but this basket will lift the blues. However it is summer and a really good one this year so stitchery calls me! Well that is it for today I have my day set out so I know what I am up to. Having done an hour of house work first because I have to clear my mind of clutter or mess first and then I am happy sat stitching. 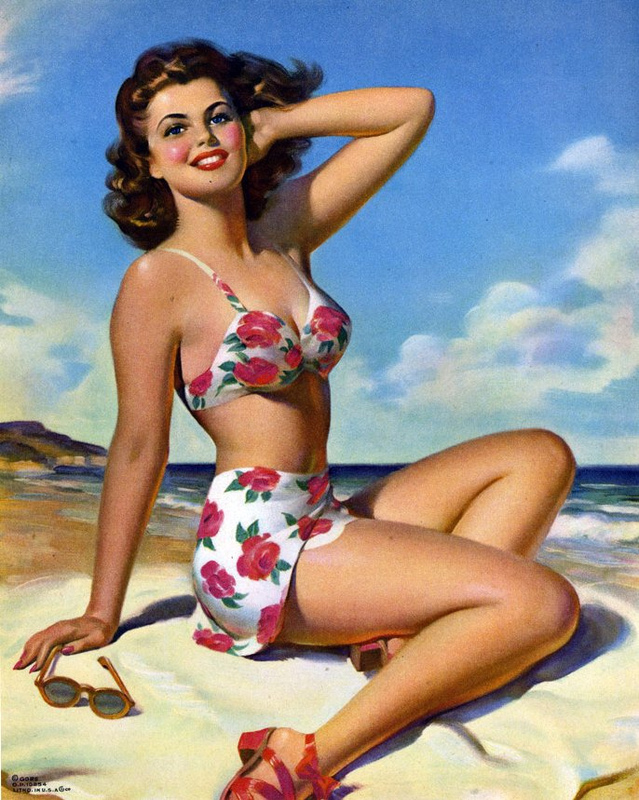 Have a wonderful day and I will see you all back here tomorrow if you would like to join me and my vintage ramblings. It is Julie it is a perfect end to a long busy day. How lovely to be so close to the sea, we feel lucky to be only 30 minutes away from Weymouth and Lyme. Will your forever home need to be by the sea? Our forever home needs to be firmly in the country but only 30/45 mins from Lyme probably so we will live fairly close to you in miles ..
We enjoy the sea but traveling to it will be a treat. To be honest although we are near now we do not go very often because of the crowds. We have been very lucky with our weather this year high 20's and I have tried not to be terribly British and complain about the heat! Just enjoy it. Hope you are well and that you have found some time to stitch.